Gain access to thousands of golfers in your area. Chronogolf.com is a golf marketplace that booked over 7 million rounds of golf in the past three years! Reach a wider audience and retain a new clientele. 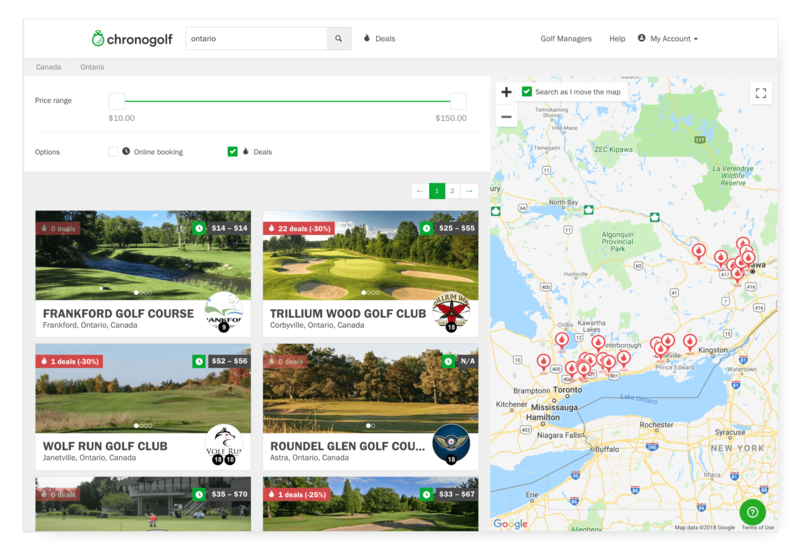 Chronogolf.com now counts 280,000 golfers in North America and Europe using our platform on a daily basis to book their next tee time. Want to sell golf packages, lessons, green fees, Christmas specials or any other service online?